This was my first book by Meara Platt and I enjoyed it very much! 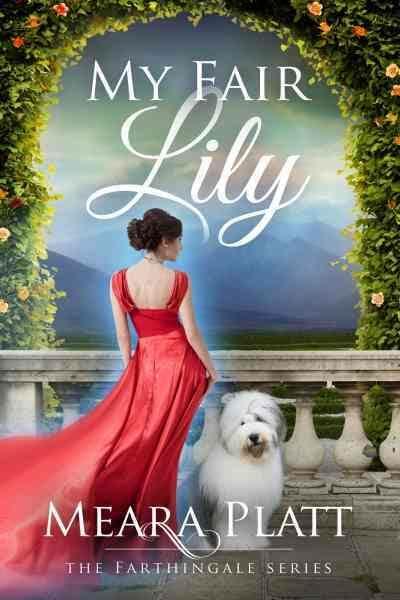 My Fair Lily is a delightful story with lots of humor. Lily is charming, hopeful and very intelligent. She is a scientist currently studying animal behavior. She has plans to marry a fellow scientist so they can be partners in all things. That is until she meets Ewan, her neighbor's Scottish friend. She starts to question her feelings for both men. Ewan is a gruff and unrefined Scottish Laird. He has no plans to marry an Englishwoman, especially because it's what his estranged English grandfather desires. Ewen befriends Lily, but fights his feelings every step of the way. Apparently there is a love curse on the street where they meet, so destiny is going to happen no matter what. There are some love scenes, but they happen later in the book. I prefer a little more steam, and at least by the halfway point; however, that won't stop me from reading the others in the series.